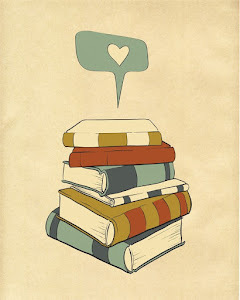 If you read this book review, the monsters will come for you. Jeff Gunhus begins this story with a candid message from Jack to the reader. Turn back now! This is your last warning! Had I tried to read this when I was younger, I would have stopped there. I was a scardy-cat who, while everyone else was devouring book after book of Goosbumps, was afraid at the cover art alone. But since I'm a big girl now and above the targeted age for this series, I got through it fine. Only two monsters came after me. Just kidding. 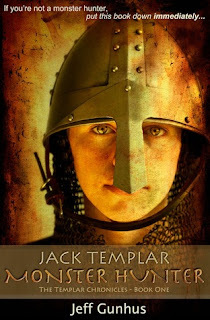 Jack Templar is about to turn 14 years old. How does he want to celebrate it? With Pineapple and pepperoni pizza and mint chocolate chip ice cream. This kid is me, if I were a fictional adolescent male. He lives with his aunt, because like all super power books, he lost his parents a long time ago. But when he woke up the day before his birthday, he noticed that he was stronger, and the people of the town were creepier. Small spoiler - his principal turns out to be a demon. Well played, Gunhus. I liked that little twist. 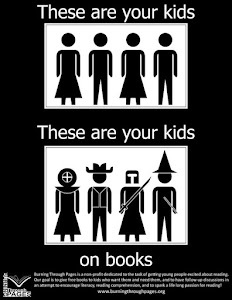 I"m sure that any reader, no matter the age can relate to an authority figure in their lives being demonic. Monster hunting is in his bloodline and at 14, Jack becomes fair game for all the vampires, werewolves, and demons of all sorts. He's thrown into a world that he didn't know existed and has had no training to prepare for the fights he will have to battle. And that girl he's been crushing on at school? She's not exactly who you think she is. I'm pretty sure my nephew Cameron would like this book. It's well written with plenty of twists throughout the plot line. Although it's a middle grade book, I still enjoyed it. I'll be reviewing the second book before the end of this month.